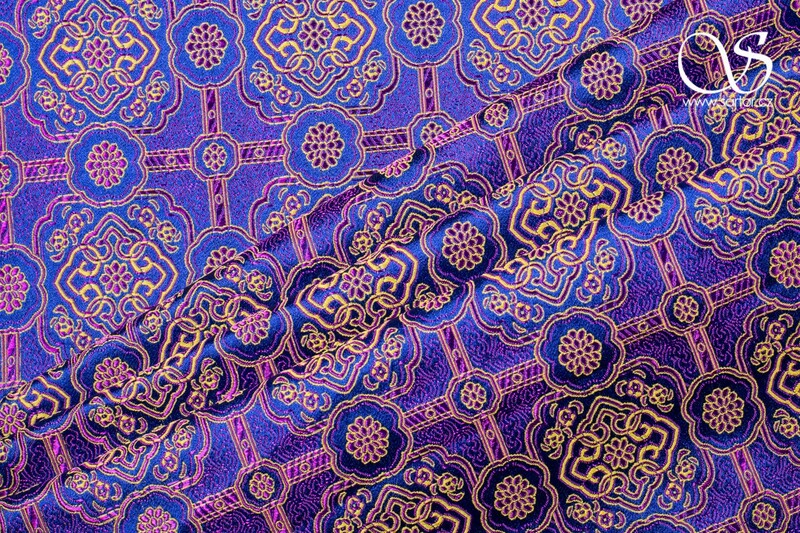 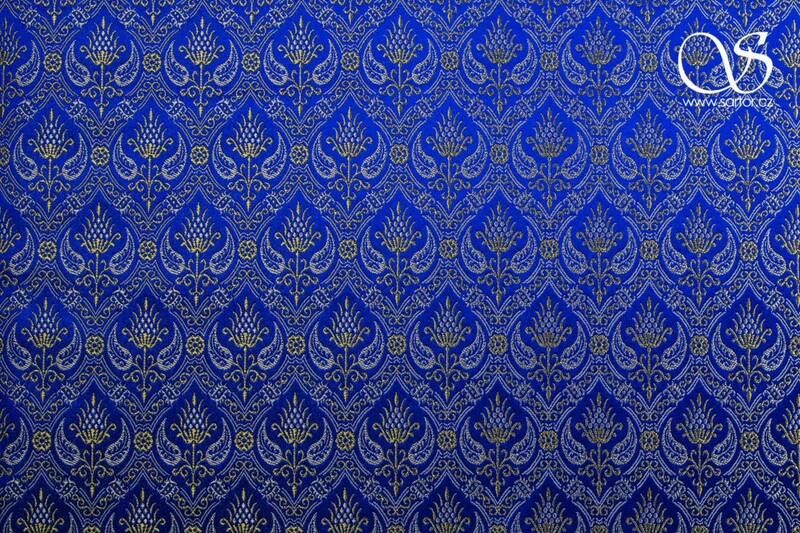 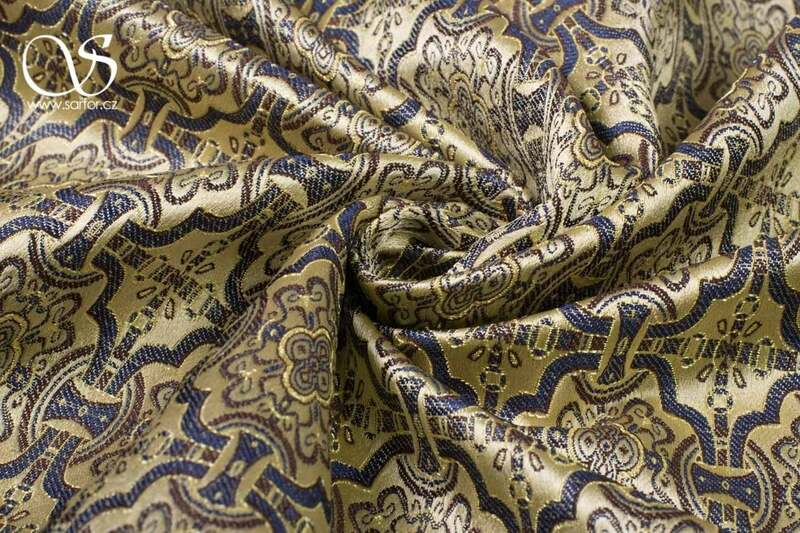 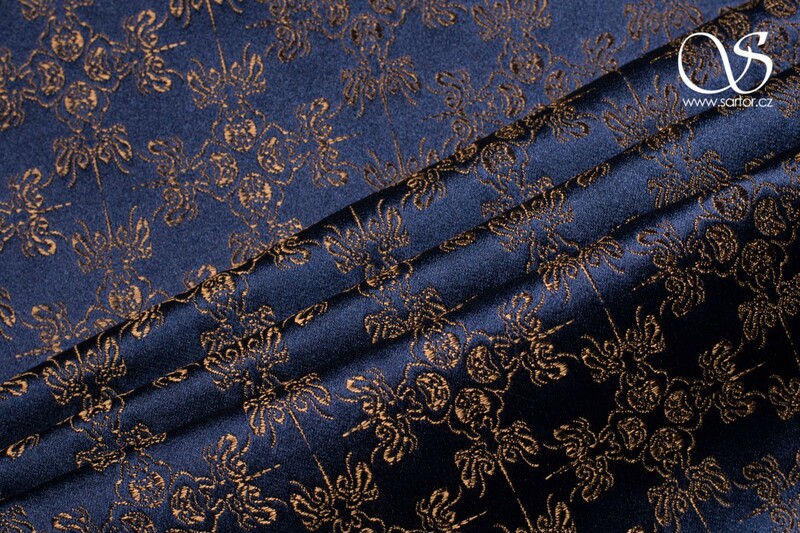 We sell quality, tightly woven brocades with mostly 50% silk content, but we have some 100% silk brocades as well as some polyester and rayon blends. 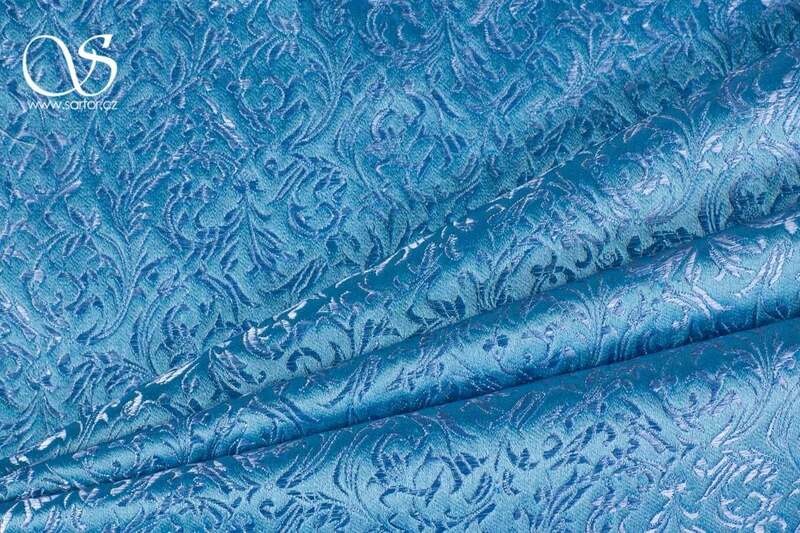 We specialize on modern decorative patterns and also designs for the reproduction of historical costumes. 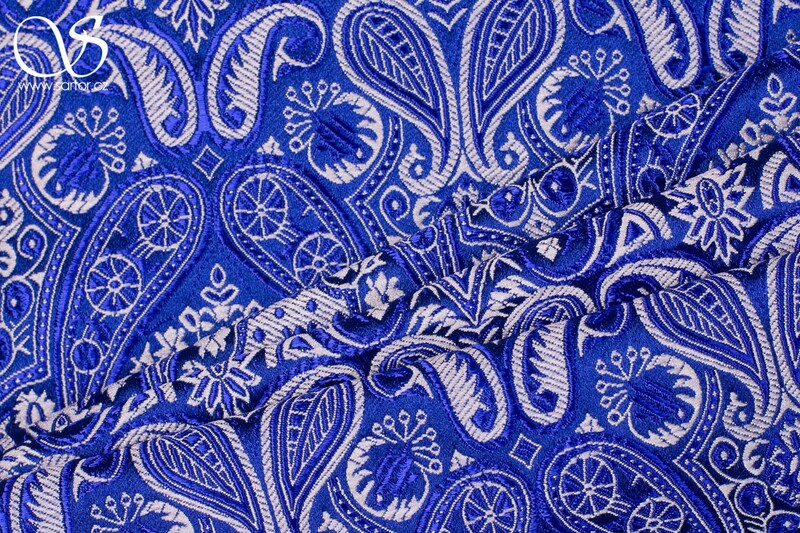 Do our patterns not meet your needs? 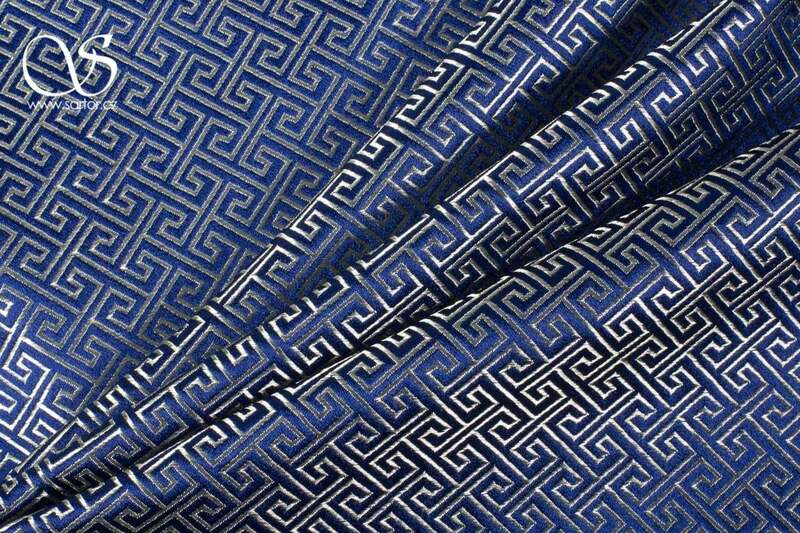 Design your own, starting at only 50 meters minimum order! 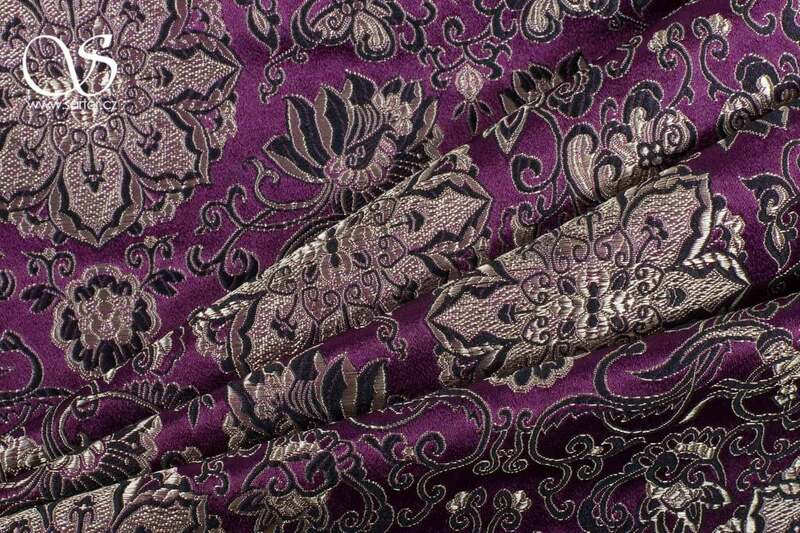 For more information go HERE. 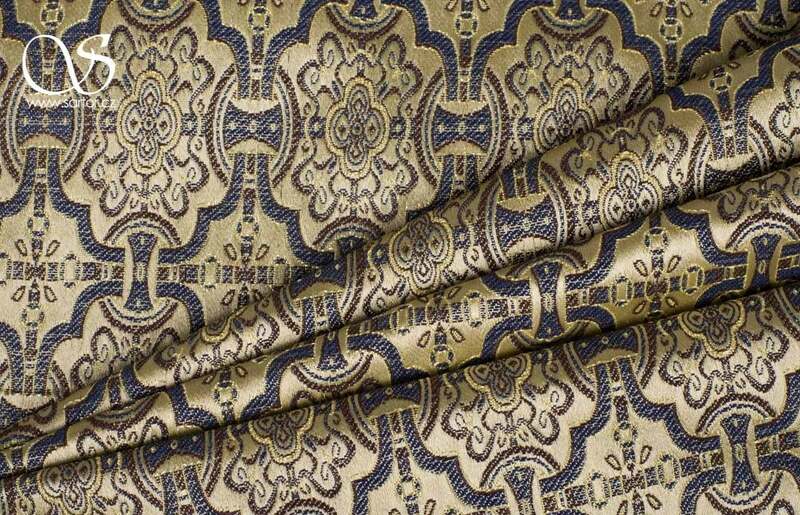 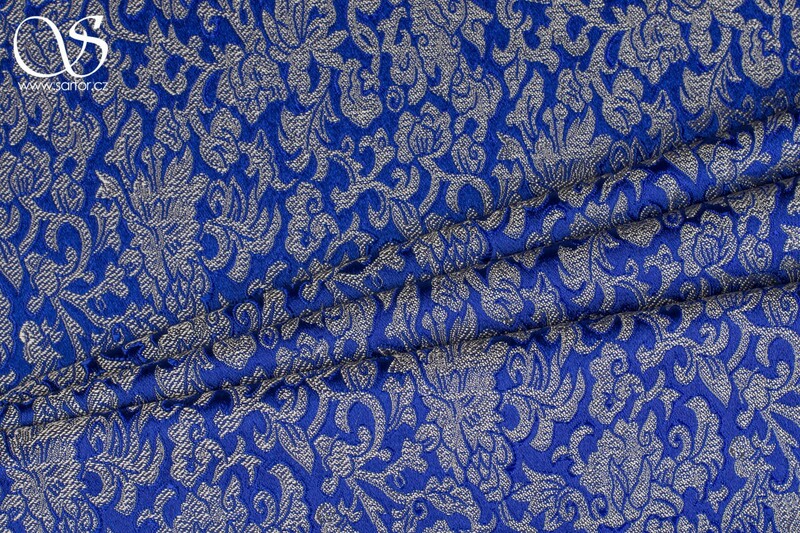 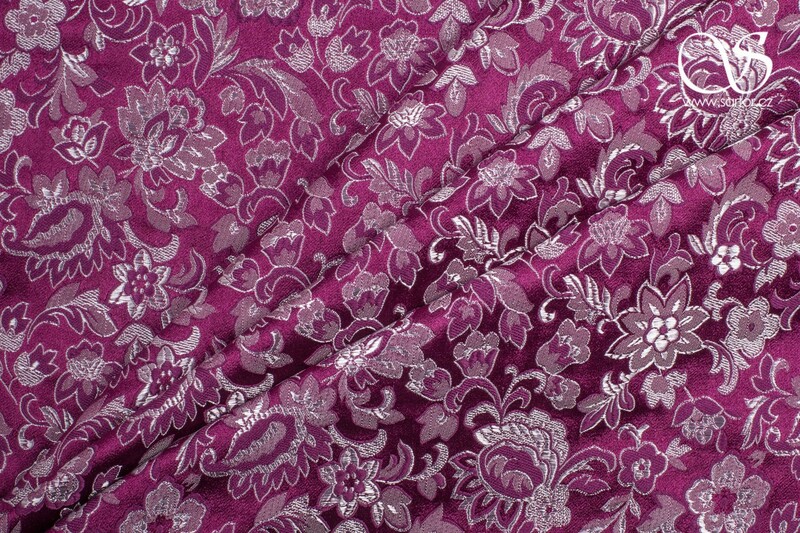 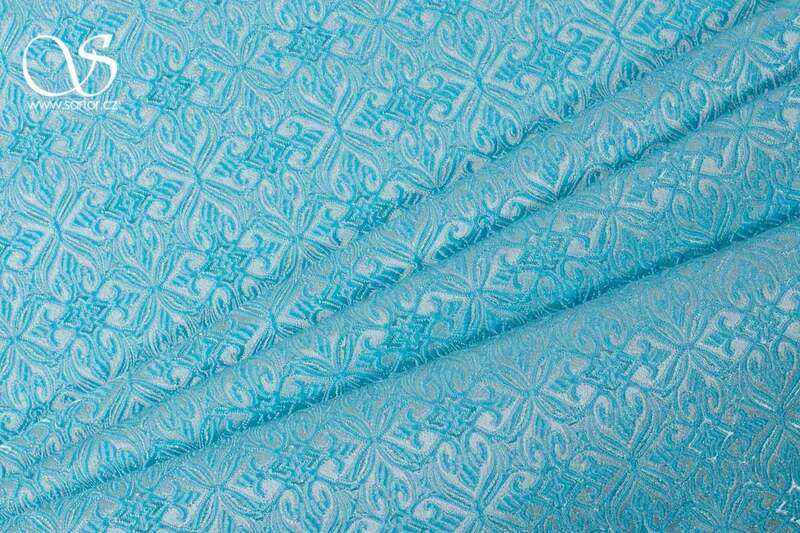 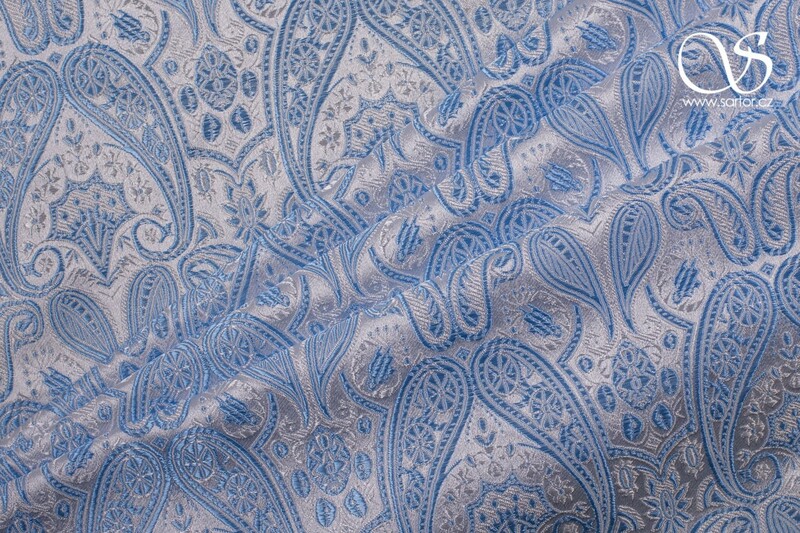 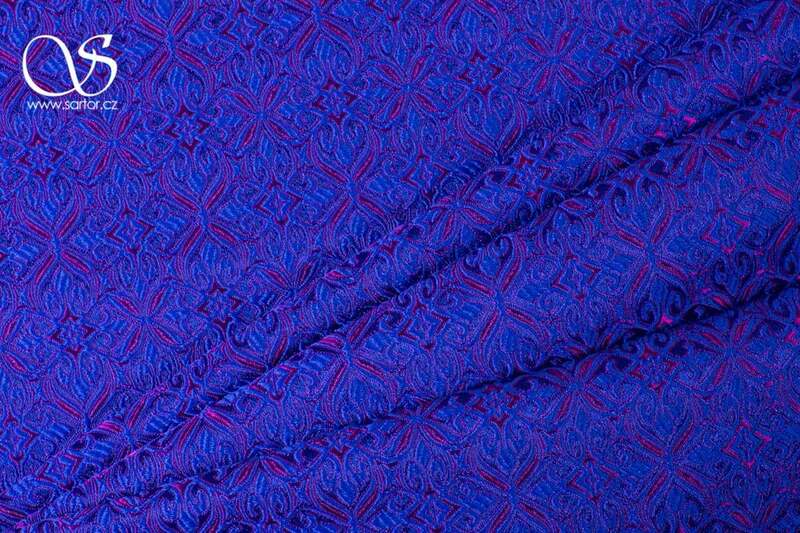 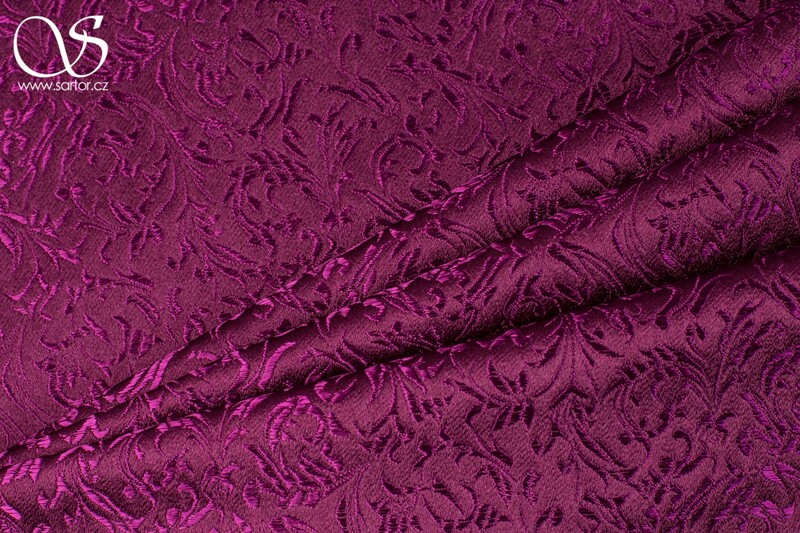 Densely woven strong brocade makes a beautiful lusterous material with thoroughly woven pattern. 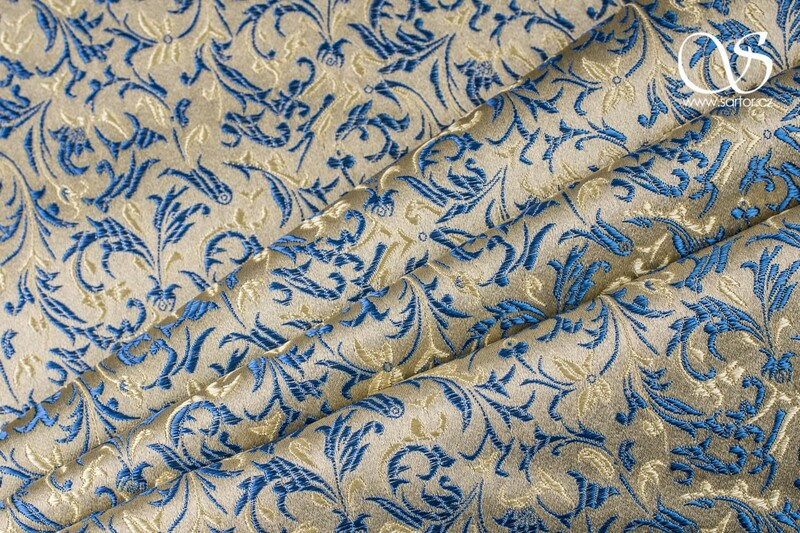 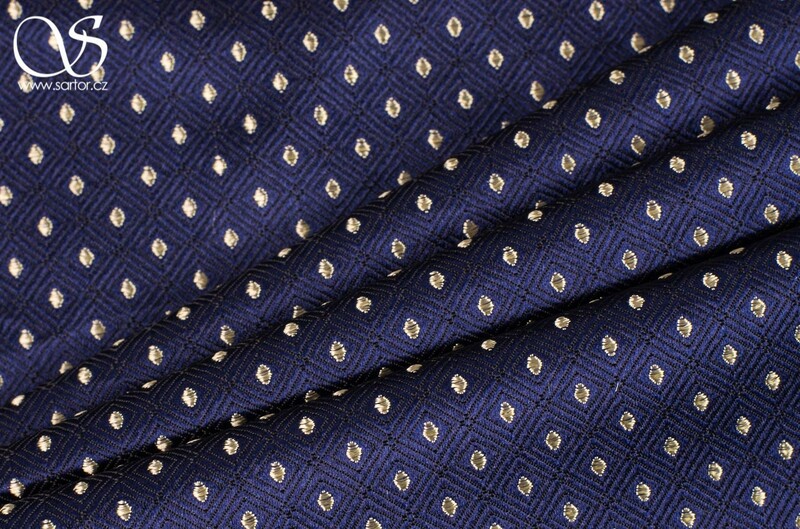 This trusty imitation of real silk will give you a real feeling of luxury for affordable price. 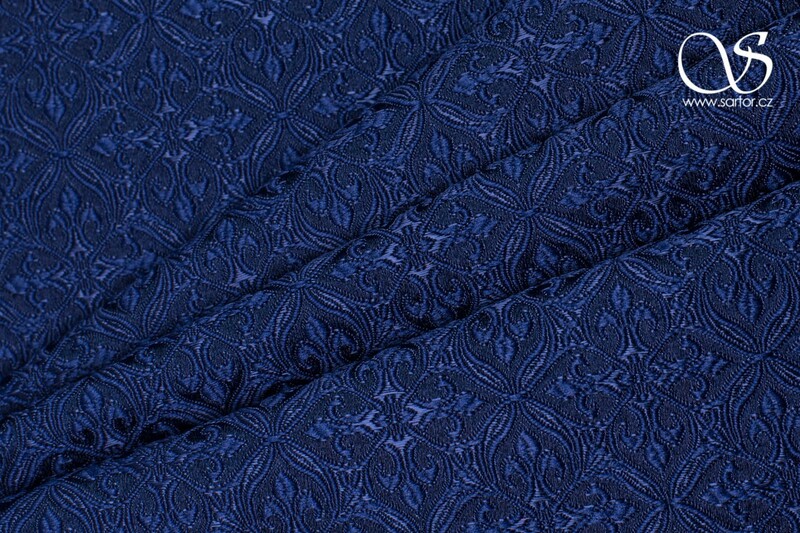 It holds its shape well. 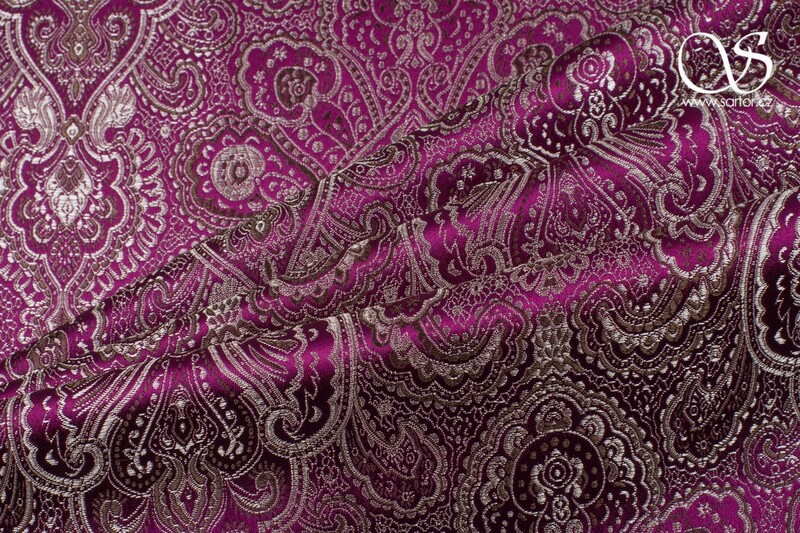 In addition polyester with rayon are more resistant to wear and tear than silk. 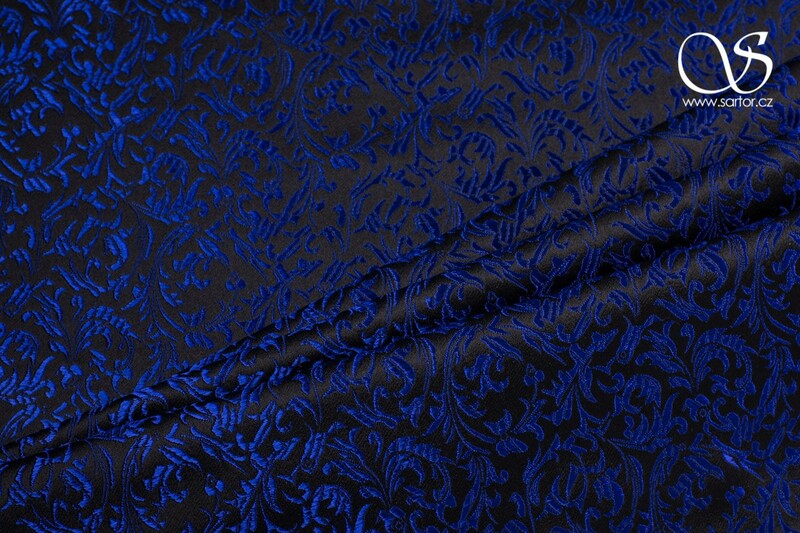 Great for jackets, skirts, close fitting dresses, corsets, and accessories. 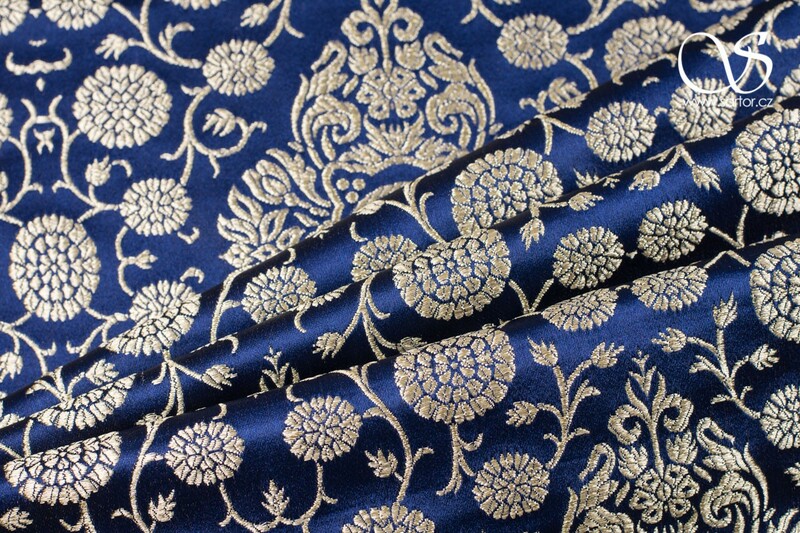 Very suitable for historical costumes. 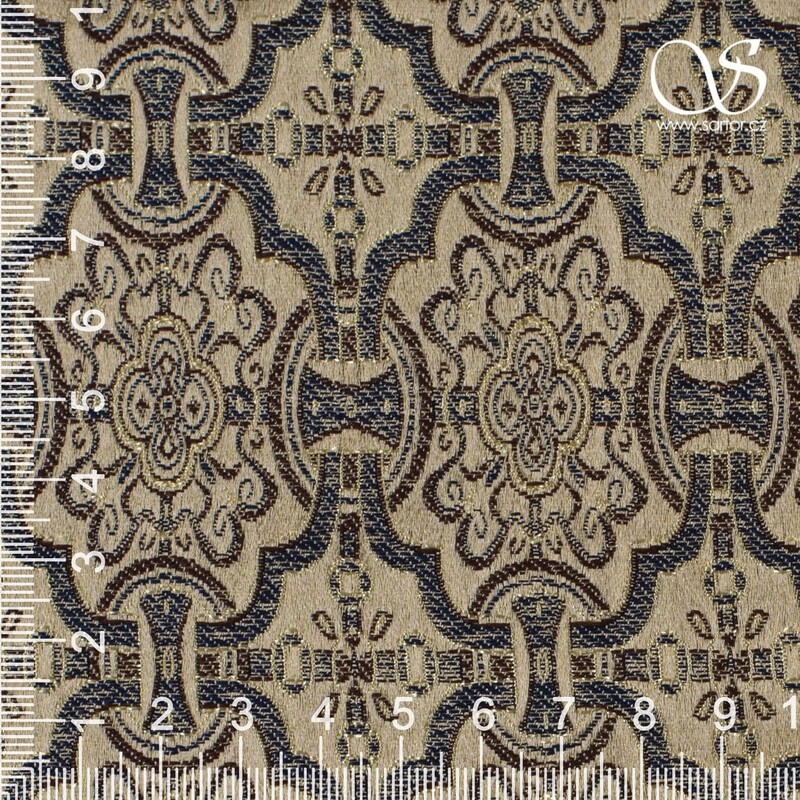 Size of pattern given in cm, measured along the weft (horizontally). 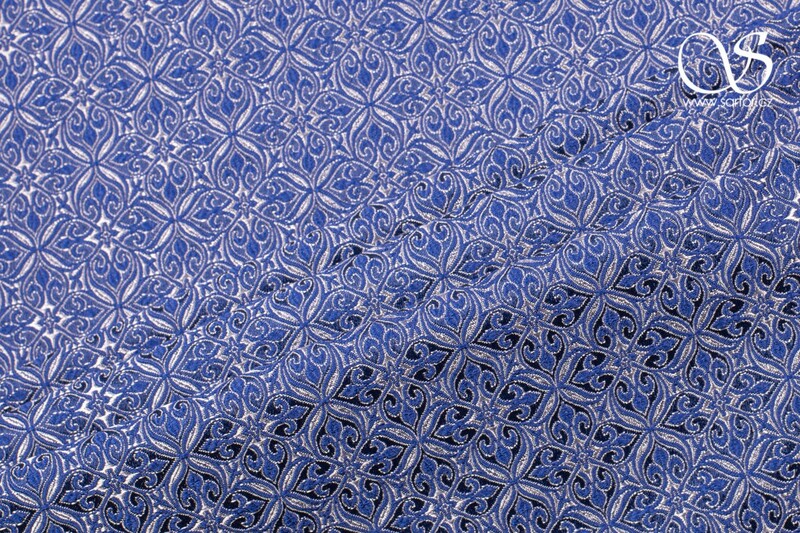 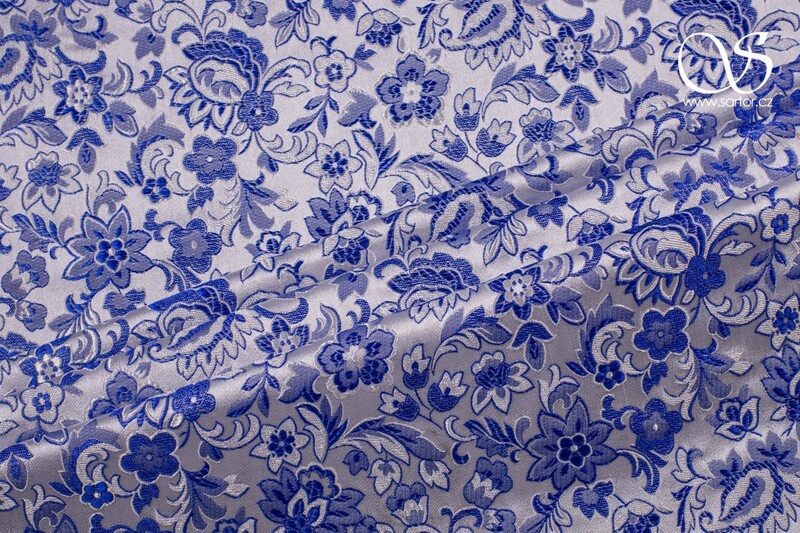 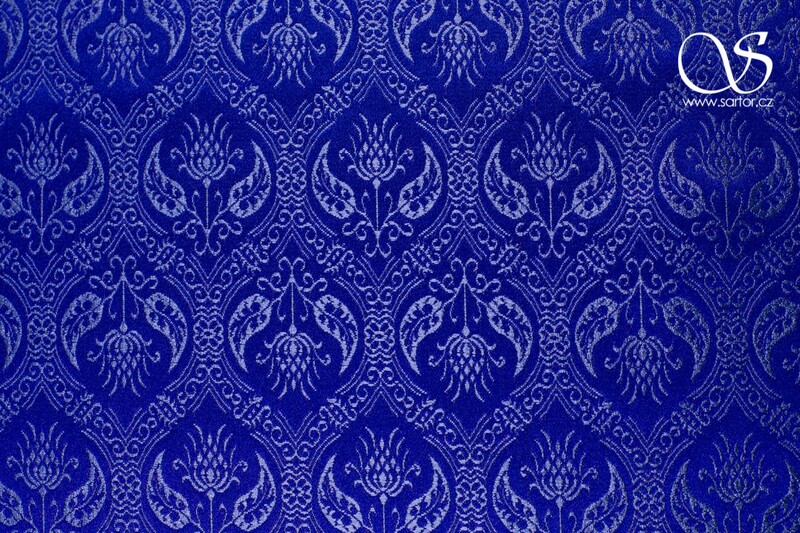 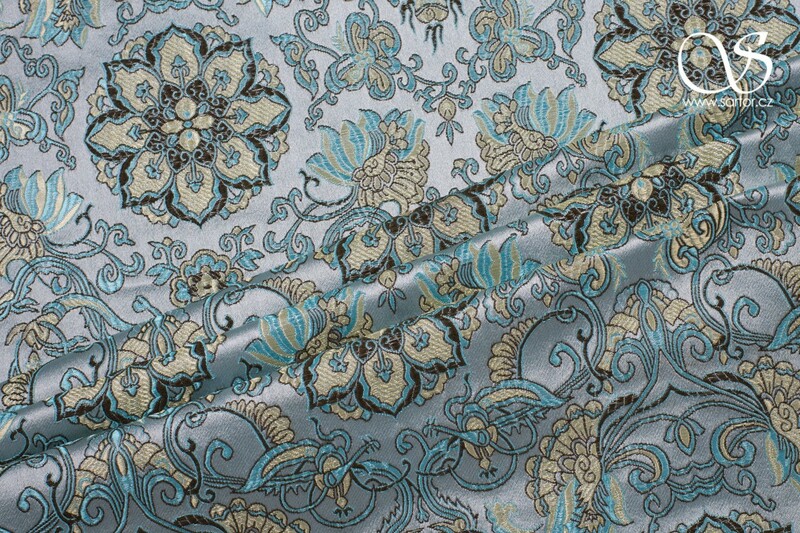 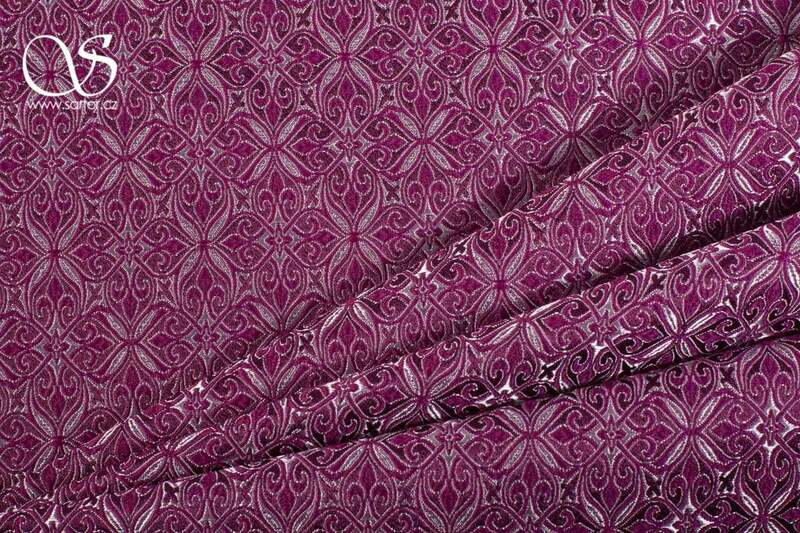 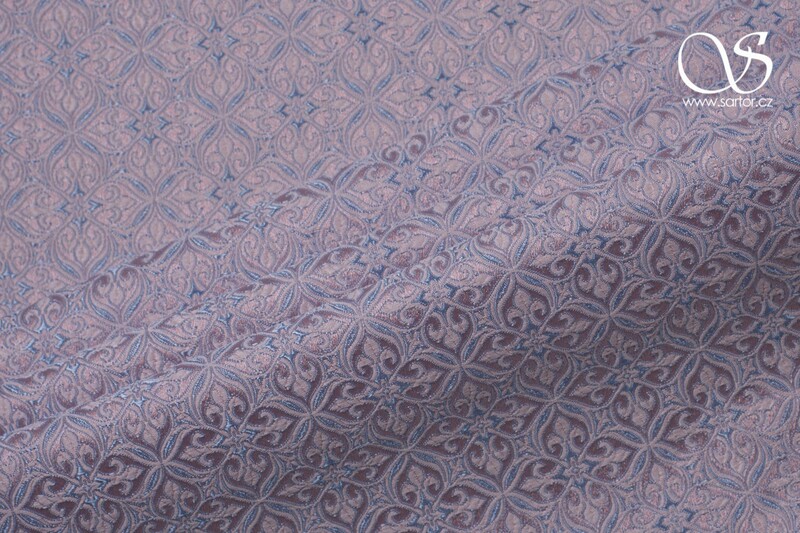 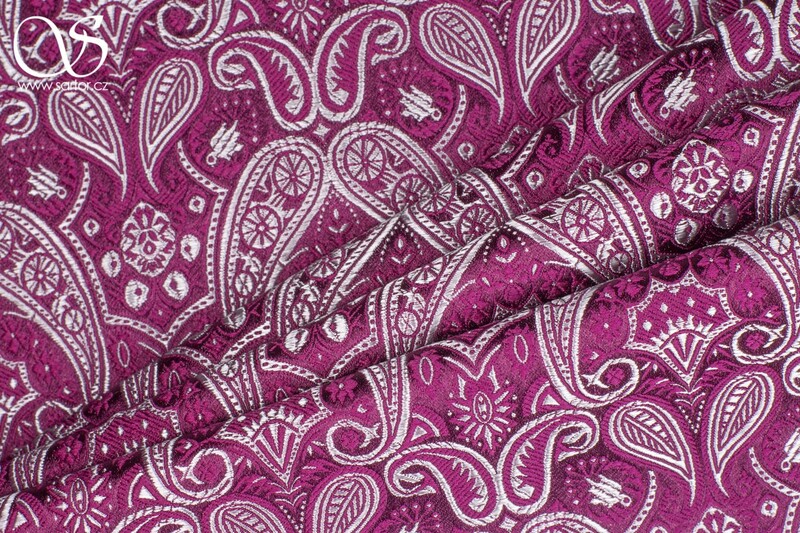 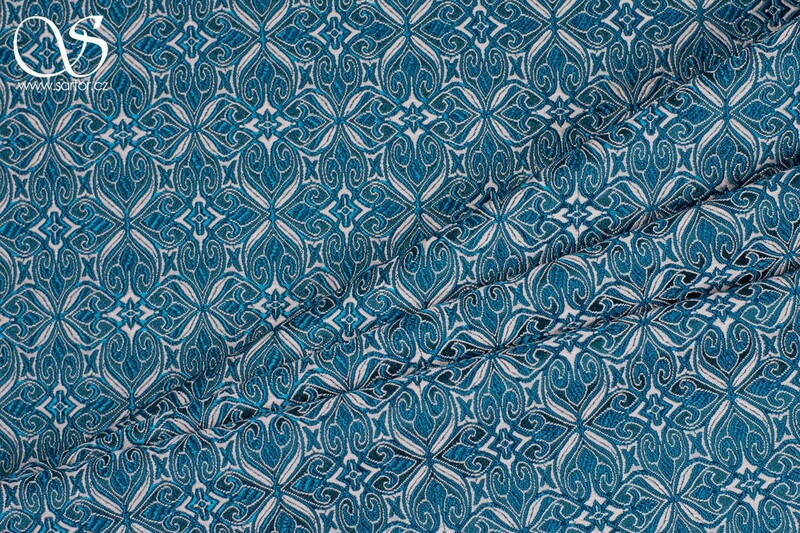 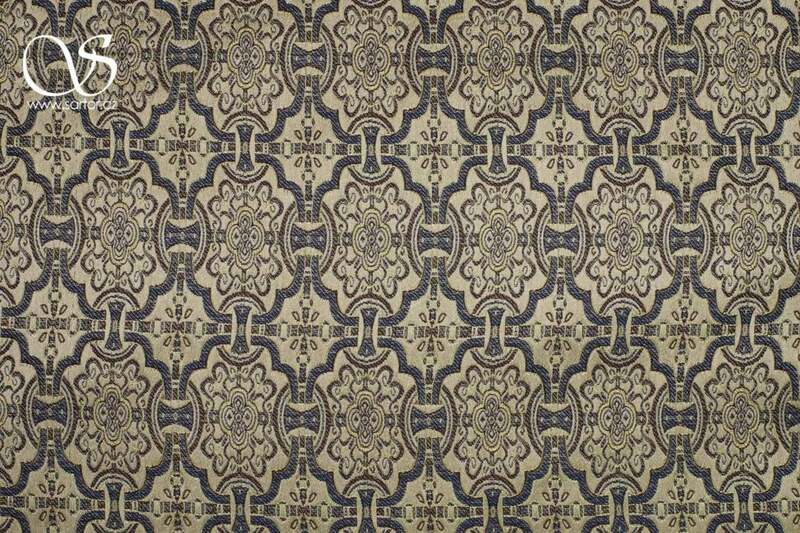 Width : 75 cm ± 5 cm | 30" ± 2"
Don't miss this fabric! 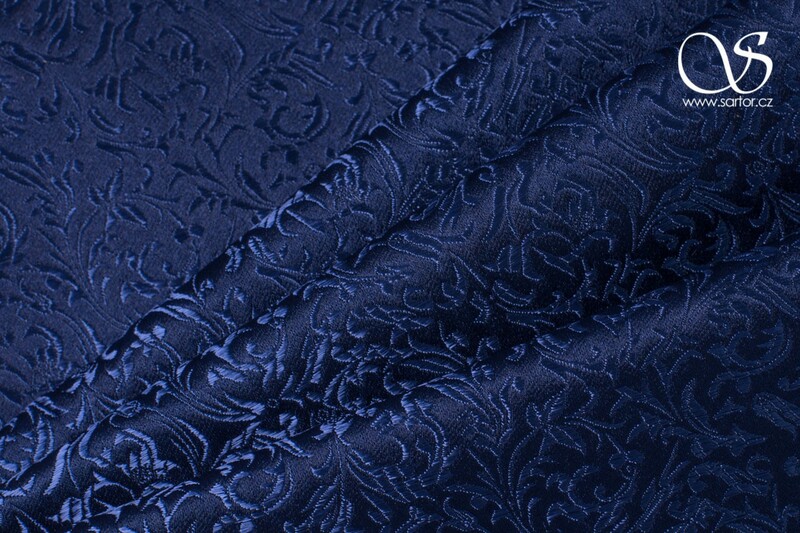 We will remind you when we have less than 10 meters in stock.